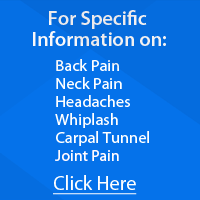 Are you living with a slipped disc or other disc injury in Dickinson? If you have a suspicion that your chronic back pain is being caused by a disc injury, or you have received a diagnosis that confirm you are dealing with this kind of issue, you will probably benefit from the best chiropractic care in Dickinson you can find. Chiropractic care in Dickinson for disc injuries has a proven track record of providing both short-term pain relief and long-term recovery. A chiropractic treatment involves a thorough assessment of your medical history and x-rays, as well as a physical examination in order to determine the extent of the disc injury and the appropriate treatment. The approach that is taken will be individually tailored to your specific issue and will always include gentle adjustments to the spine to relieve pressure on the nerves and deal with the pain and discomfort. If you have a disc injury, call our team at Neck & Back Pain Treatment Center today to receive a consultation and start on the path to recovery.